Nicola: You are a new Mum, artist and seasonal explorer who went from burnt out city girl to a slow living advocate in the countryside. Can you tell me more about this journey? Becky: I’ve always craved connection, but it was only when I moved to the farm a few years ago I truly found it. Before then I struggled by in the city feeling a bit lost and very disconnected from my surroundings, my creativity and my health. When I made the move to Broughgammon Farm to live with my then boyfriend (now husband) it was a huge leap of faith, but it paid off. Through working and living on the farm I began to get interested in gardening, the seasons, slow food and living naturally. I began to meal plan, swap all my skincare and makeup to natural options, minimise my wardrobe, as well as paint again and I shared these breakthroughs on my blog. As well as giving me a sense of connection and peace, this more anchored, slower and natural life has been beneficial in healing my autoimmune condition. I’m now aware of how little we need to be happy, how the small things can bring so much joy and how powerful nature is! I’ve also just become a mum and I’m excited to share this beautiful country life with my son and learn the art of slow motherhood! 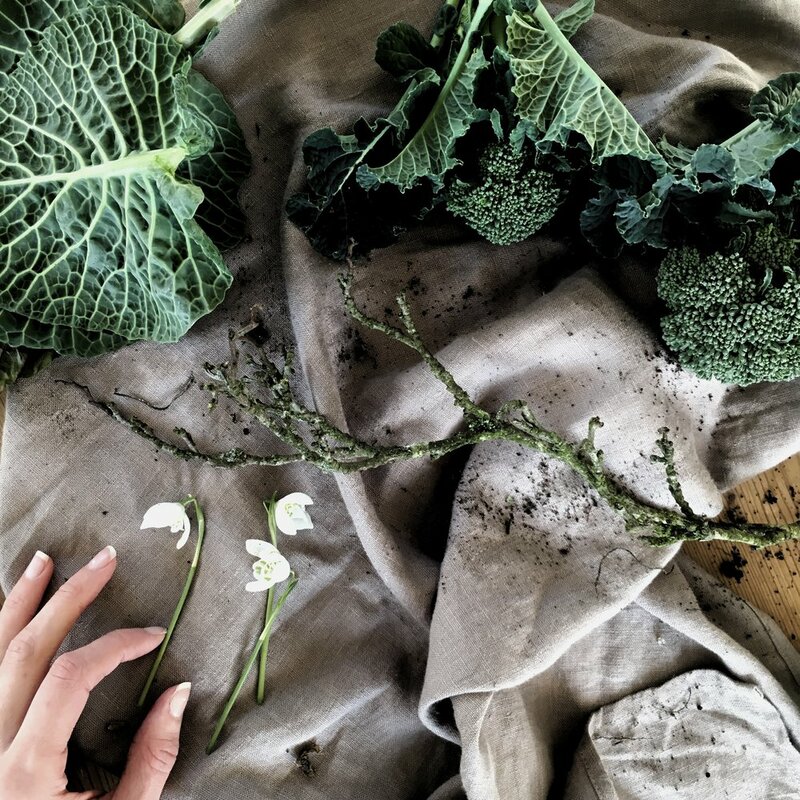 Nicola: You approach life from a holistic angle, from what’s on your plate to the products you use on your skin, and even what’s going on in your mind. Can you tell me more about how you incorporate this into everyday life? Becky: The concept of slow living sums up how I aim to live. It’s about taking time to reconnect with nature and our surroundings every day, and about bringing a sense of ritual to the little things. Even on chaotic days I like to do something small to bring me back to the moment and to nature. It could just be picking fresh flowers from the garden to put beside my bed, or using lavender essential oil to help aid sleep at night. I’m always thinking of how I can be more present and natural, and remembering to take the time to breath in the beauty of the day. Nicola: I’d love for you to tell us about the courses you run? Who they are for and what it is you teach? 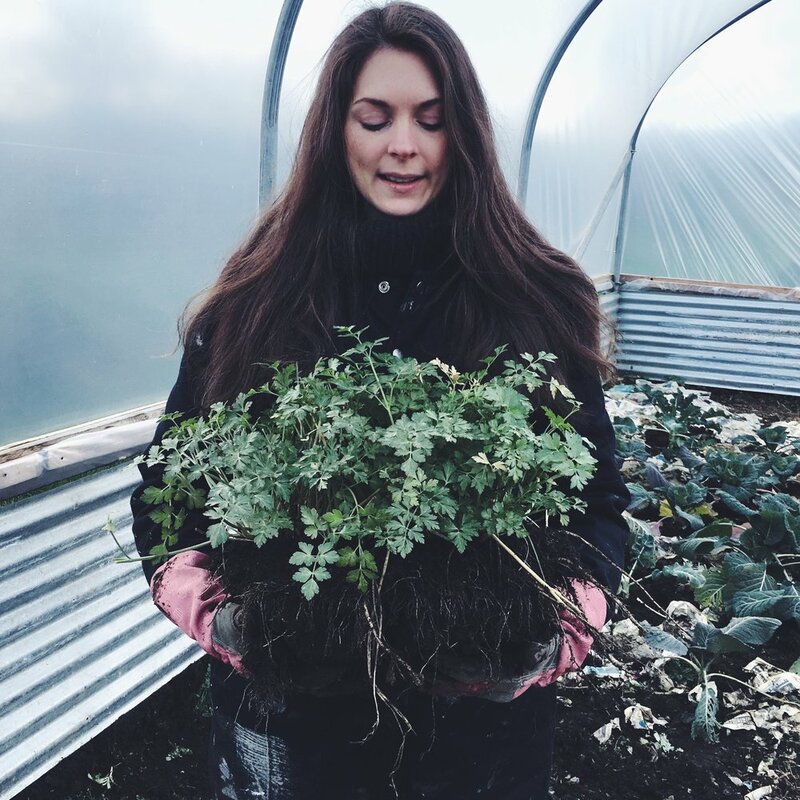 Becky: I run an online course called Natural Living that teaches people how to rekindle their connection with nature and live a more natural life. It has lots of lovely projects, from blending herbal teas to making your own natural skincare. It shares everything I have learnt over the past few years that’s had a powerful and transformational effect on the quality of my life and health. I also organise artisan slow-food classes here on our farm (Broughgammon Farm). We teach everything from foraging to cheese making. Nicola: Can you tell me about your podcast and the message you share? 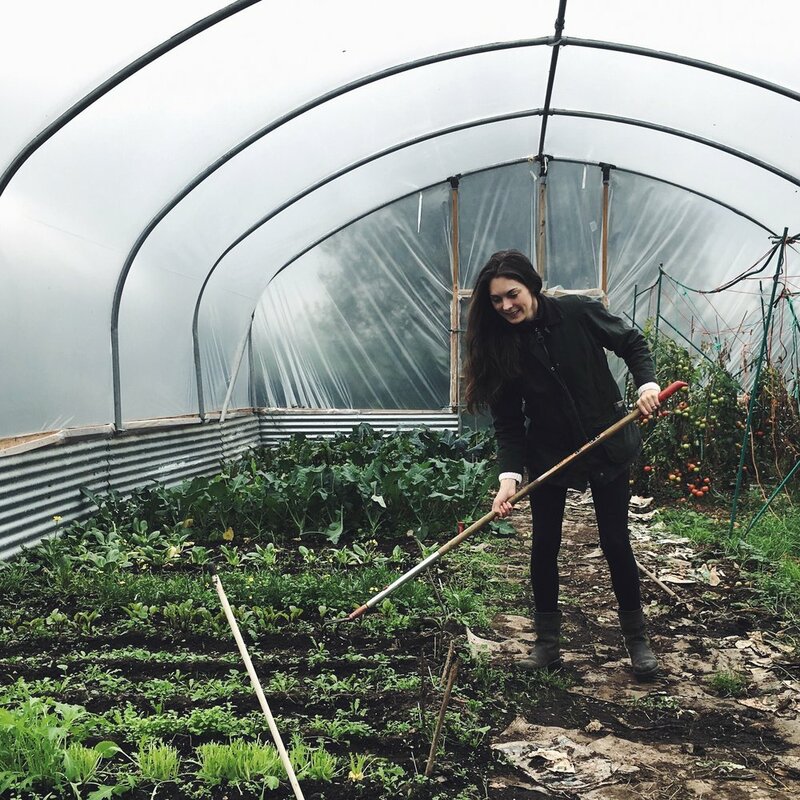 Becky: I have a podcast called Nature & Nourish, which chats about how we can live a more connected and slower life in tune with nature. I celebrate each month with a podcast episode dedicated to it. This helps me remember which food is seasonal, what events are happening and what I can look out for in nature. Other topics covered include living mindfully, the environment and everything natural! Nicola: You live in a little seaside town called Ballycastle on the North Coast of Ireland. Can you tell me more about where you live and what a typical day in your life is like? depend hugely on my local town for running shopping errands, going to the library, baby classes and also showcasing my paintings in the local gallery. We live just outside of the town on our ethical farm surrounded by fields. I love having this space as it fuels my creativity. 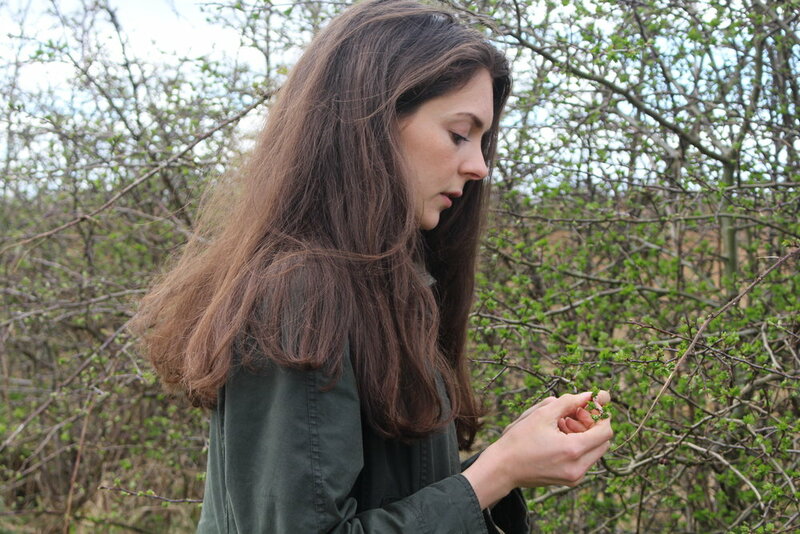 A typical day in my life is varied especially since becoming a Mum, although it usually contains plenty of tea, gardening, writing and brainstorming future plans with my farmer husband. We’re aiming to become more permacultural over the next few years and possibly build an eco house! Nicola: And lastly, if someone reading your story were inspired to follow their own creative dream, what advice would you give them? Becky: Don't wait for the perfect time. I’m a big believer that we should live in the moment and live for today. When I made the break from the city to the countryside it certainly wasn't ideal timing, but on reflection I wish I’d done it sooner! Perfectionism can really hold us back, but if you have a dream you should make steps towards that right now! You can find Becky on Instagram.